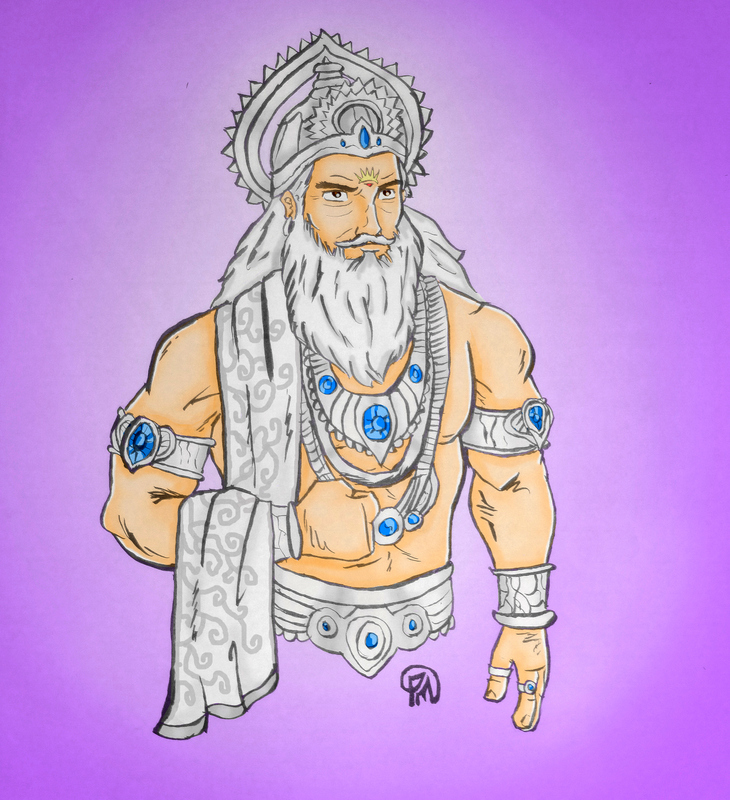 We have all heard the tales of Krishna and Arjuna in Mahabharata, but have overshadowed the tales of Bhishma Pitamah. Until being named ‘Bhisma’, he was Known as Devavrata and was the son of King Shantanu (King of Hastinapur) and Ganga Devi (goddess of river Ganga). As Ganga left King Shantanu, she took Devavrata with her. Thus, he was bought up with much care and affection. He was taught Vedas and Puranas by Guru ‘Vashistha’, and taught archery by one of the greatest fighter and archer Guru ‘Parasurama’. By the time he was grown up, King Shantanu enthroned Devavrata as Yuvaraja as he was a worthy heir to the throne. Hence, with the guidance of his father, he was capable of ruling the kingdom with the sense of veracity and justice. One day, when King Shantanu went for hunting, he got carried away by the beauty and fell in love with a girl named ‘Satyavati‘. King Shantanu then went to Dasharaj, father of Satyavati, to deliberate his desire to marry Satyavati. However, Dasharaj asked King Shantanu to pledge; only Satyavati’s children should inherit the throne. This pact shattered the King, as he knew this would be unjust toDevavrata. Devavrata realized something was wrong with his father, as an air of melancholy surrounded King Shantanu. As he came to know the reason,Devavrata visited Dasharaj and plead for the marriage. He agreed to give up the throne to sooth his father’s sorrow. But, Dasharaj still showed his disagreement as Devavrata’s children would ascertain the right to the throne. It was then, Devavrata sworn an oath before all the gods. An oath made for his father’s happiness rattled the Earth and the Heaven. Devavrata vowed that he would never marry and would never father any child. From that very moment, he became ‘Bhisma’ because of Bhishma Pratigya (terrible oath). This vow of lifelong celibacy and of service to whoever sat on the throne of his father (throne of Hastinapur) made King Shantanu realize Devavrata’s sacrifice and granted him a blessing that ‘He would be able to choose the moment of his death (Ichya Mrityu), until and unless he wishes for his death, nothing could barricade him.’ Bhisma kept his promise and watched over the throne of Hastinapur in a mere silence. After the death of his Father Shantanu, he watched over his two half-brothers, ‘Chitrangada’ and ‘Vichitravirya’ and brought them up as a capable ruler. 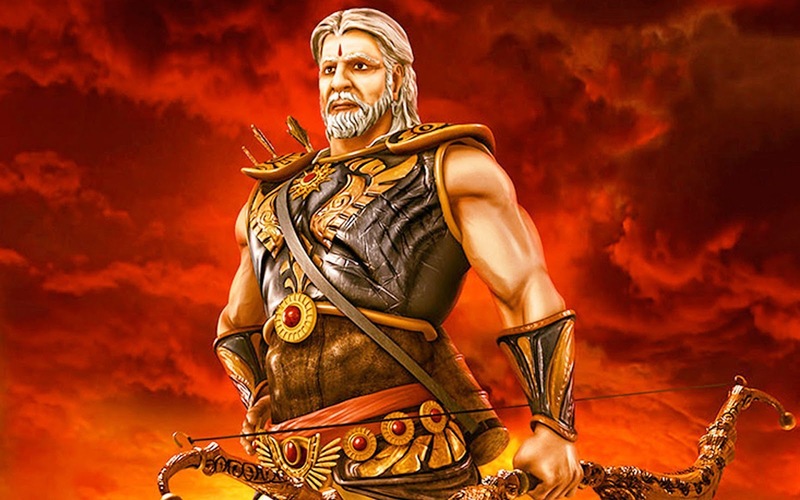 Bhishma is arguably one of the most powerful warriors in the history of Hindu realms. During the Mahabharata, he had unwillingly supported Kaurava, as Hastinapur was ruled by Duryodhana. He was known as ‘Bhishma Pitamaha’ among the Pandavas and Kauravas, where Pitamaha meant, ‘the grandfather or grandsire’. He tried his best to bring accord between them to prevent the war. However, Bhishma had to be the supreme commander of the Kaurava force for ten days. He fought reluctantly on the side of the Kauravas. With much effort, he was wounded by Arjuna in the great war against ‘Pandavas’, but his death embraced only when he desired which was on the day of Makar Sankranti. Struck down by Arjuna, he fell down from his chariot with arrows pierced in his body. In the deathbed of arrows, he exhorted Sanatan Dharma, for days to Yudhishtira, who would be the future king of Hastinapur and others who surrounded him. He gave meaningful instructions to Yudhishthira on statesmanship and duties of a King. For this, his name would forever be depicted in history not only for his vows and valiance but also as a great scholar and statesman. Bhishma followed the path of truth and justice till the end of his life. He set an example for devotion, love, and sacrifices with his truthfulness and surpassing courage. He gave some profoundly important lessons for life. “Life should always be embraced; change is inevitable don’t get too attached; dharma comes first; always strive hard to work for the betterment of not just one’s own self but one’s family as well; be compassionate; be tolerant.” These were some of the powerful words of wisdom which is believed Bhishma Pitamah gave to Yudhisthira and others while lying on his deathbed.